As the daughter of two research scientists and a lifelong non-believer in any faith-based higher power, I wouldn’t exactly categorize myself as the target candidate for a spiritual medium. 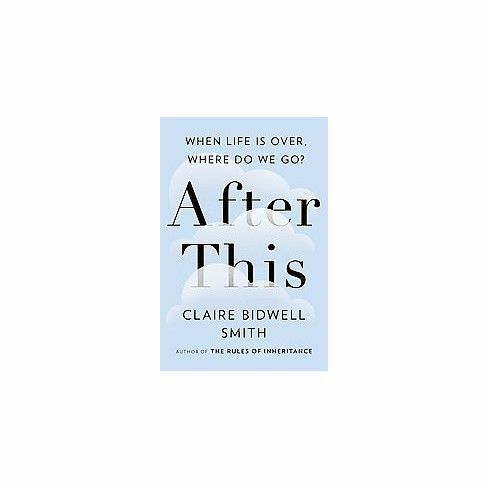 However, a 2015 nonfiction book called After This, which chronicles a traditionally trained grief counselor’s exploration of alternative spirituality as a coping mechanism after the death of a loved one, I started opening up my mind a little. There is no official, formal certification for mediums, but generally, these practitioners work as intermediaries between the spirit world and our physical world. They’re folks who were ostensibly born with a special ability to tune into spiritual frequencies in order to pass along messages from your ancestral spirit guides and departed friends and family. A medium is not a psychic or a witch; they are simply a transmitter of supernatural information. At least that’s the claim. In perfect honesty, this stuff always sounded to me like play-pretend at best and manipulative quackery at worst (picture TV mediums ripping off grief-stricken widows to boost their business); but after reading in After This about the closure that medium visits can bring mourners, I started to see the value in it, even if I didn’t necessarily buy into the mysticism itself. In the early fall, when an invitation crossed my inbox to have a FaceTime reading with a Pennsylvania-based spiritual medium named Erika Gabriel, I was poised to be more open to it than probably ever before. A less skeptical person might call it “a sign.” The benefits I was pitched of a session with Erika (who has read for thousands of people from all over the world, including a few unnamed celebrities) covered everything from spiritual self-care tips to life lessons learned from talking to the dead. I figured even if I didn’t think communicating with the great beyond was actually possible, there was something to be gained from the insights of a deeply sensitive, spiritually minded person, so I agreed. I was told to prepare three questions about my life and find a quiet place in my home where I could have an uninterrupted FaceTime conversation for 45 minutes. I was worried almost an hour of pretending to believe a strange woman on the other end of a FaceTime call was talking to my dead grandfather would feel endless, but my conversation with Erika actually seemed to whir pleasantly by. We began the reading by forming an energetic circle around the two of us (which can evidently be done virtually over video chat). This involved lighting an IKEA tea candle and engaging in a few moments of silence so that I could connect to the present moment and so that she could dial into my spiritual frequency (“like a radio,” she described) to access my personal spiritual guides, which Erika said are by my side at all times, even if I can’t explicitly sense them. As someone who isn’t very good at setting aside peaceful moments for myself (“landing,” as my therapist calls it), being forced to take a minute of silence is always beneficial to me; and even if I didn’t take the spirit guide thing literally, it was nice to hear that the wisdom I’ve inherited from my family and possibly even distant ancestors is always with me. So putting my little down-to-earth spin on it, this ritual seemed like a positive way to start off our session. My three questions involved what was to come of my career in the immediate future, the fallout of a recent breakup, and how my grandfather felt about his death (though I didn’t tell Erika these things right away). I must admit I was flattered to hear that Erika opened my reading by saying that I seem to be embarking on a very intense period of my professional life and that she sees me achieving great success quickly and soon. “I know this sounds cheesy, but I see your name glowing, like light bulbs around an old-fashioned makeup mirror,” she said. “You’re on a train that’s about to start going very, very fast.” (I do have my first book coming out in the spring, so I couldn’t help but smile at the prospect.) Erika encouraged me to get better at saying no to people and events that weren’t going to help me on this path to success, which is generally good advice, whether it comes from metaphysical spirit guides or not. She told me to be extra selective about the people I dedicate my time to. My loyalty to those who might not be the best for me long-term could end up holding me back. She also told me to drink more water (again, good advice for anyone, though especially me—I’m more of an iced coffee gal and chronically dehydrated). It occurred to me about midway through my reading that while a therapist is a highly trained, formally educated person who gives you zero concrete answers about how you should lead your life, a medium is sort of the opposite: someone with generally little to no traditional training who tells you highly definitive answers to your life’s biggest questions. I decided that at the very least, there was something to be gained from someone with a lot of experience reading people’s energy, offering a fairly objective first impression of your emotional state, career, and love life. After all, if I didn’t take the spirit guides’ advice literally, then I could choose to reject it if it didn’t fit. Onto my second question: Not everything Erika said about my past and current romantic relationships seemed as accurate as the stuff she intuited about my professional life. (For one, she described my ex’s and my partnership as being loaded with “intense chemistry,” which I would scarcely agree with.) But, able to sense that I was still hanging onto negativity from my old relationship, Erika suggested that every day, or at least regularly, I visualize a golden chord connecting him and me, and then gently, unaggressively snipping it in half to let myself free. “His old energy is still in your body,” she said. I can’t disagree with this. This visualization exercise definitely seemed like something I could benefit from. My favorite part of the reading also happened to be the part I doubted most—when Erika made contact with my departed grandfather. “He was a character,” she said with a smile, followed by, “I hear him right now saying, ‘You better not be paying for this.’” I don’t know how she knew that is precisely something my grandfather would say, but it absolutely was, and whether or not it was actually coming from him, I liked knowing that his spirit was so strong that she could somehow get an impression of it just through talking to me. In a way, that really did feel like his spirit was still somewhere in the ether. Erika told me that according to the messages she was receiving, my grandfather seemed to be at peace with the way he died and was greeted in the afterlife by two men who instantly comforted him. (He did have a lot of brothers on Earth.) Regardless of where this information was coming from, I just enjoyed the excuse to talk about my grandfather—to keep his memory alive. At the end of the 45 minutes, Erika thanked me warmly for my open-mindedness and positive vibes, and I thanked her right back. Even though I remain ambivalent about people blindly accepting a concept as objectively unscientific as a living person being able to communicate with the dead, I am not hard-headed or egotistical enough to be certain that it’s poppycock in every way. My conclusion is that as long as no one’s trying to manipulate anyone else (emotionally or financially), then seeing a medium during times of great loss can be a helpful supplement to other, more clinically proven methods of grief management and mental healthcare. After all, if someone as skeptical as I am found her first medium reading to be an overall positive experience, then my guess is pretty much anyone could stand to gain from it, too. Have you ever had an experience with a medium? DM me on Instagram and tell me about it @amanda_montell!